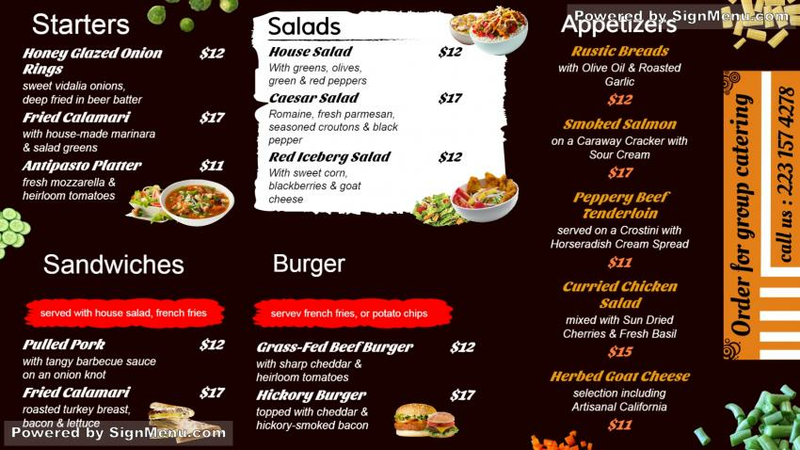 This template is best placed on a digital menu board with highlights on name and logo of the restaurant made prominent on the digital screen. Most fast food restaurants today focus on their upsells to obtain better margins on their sales. hence, the menu board is structured accordingly. This template provides a benchmark for your menu board design, and is ready for download and use.